For the last several weeks, I've been prepping new listings. While I love representing buyers, it's a lot of fun to represent sellers too. Especially since homes are selling fast! Below are some tips I've learned over the years to get the most money for my sellers. 1. De-Clutter. I know you love your collection of _____ (insert any collection) and think it's an interesting feature. It isn't. Box it up and utilize that space in a way that's appealing to buyers. Take your appliances and knick knacks off the kitchen counters. Put away your beauty products in the bathroom. Take down the magnets and photos on your refrigerator. 2. Re-paint in neutral colors. Red kitchens and dining rooms are so 2000. Don't date your decor with bold colors. Buyers are picky and one terrible paint color can make them over look your property. A tan or greige paint color is the top choice for most buyers. Boring but tried and true. 3. Clean extensively. Nothing is worse than a grimy bathroom or kitchen when you're viewing property. Hire a cleaning service. Your property should sparkle. Keep your place tidy while it's on the market. Make your bed. Put away your soiled clothing and clean laundry. Hang up your coat and put away your shoes. 4. Rearrange/Remove your furniture. Most sellers have too much furniture in their space. If you have belongings in every single corner, get rid of them. If it's over sized and makes your space look small, store it for your next place. Rearrange your furniture to make it open and inviting. Open your blinds/curtains to show the view and the sunlight. 5. Make sure it smells good. That old man/sock smell is not making your place more attractive. On the other hand, you don't want to go over board. Strong, floral plug-ins can make buyers suspicious. The most appealing scents are cinnamon/apple, vanilla or citrus scents. 6. Take good photos. Use a professional photographer for photos of your property. "Homes with professional photographs were found, on average, to be viewed 61 percent more online than others in that price range shot with a lower-end camera. The listings that used digital SLR cameras also commanded a 47 percent higher asking price per square foot, according to the Redfin analysis." The stats speak for themselves. 7. Don't overprice your property. The DC market is gaining ground at a rapid pace. Last year, market prices rose 9.2%. Sellers first inclination is to list their property for waaaayyy higher than it's worth. That leads to more days on market, price reductions and less money in the long run. Price correctly the first time and your house will be sold in 7-10 days. A little prep work goes a long way when you're putting your place on the market. If you're looking to sell in 2014, contact me. 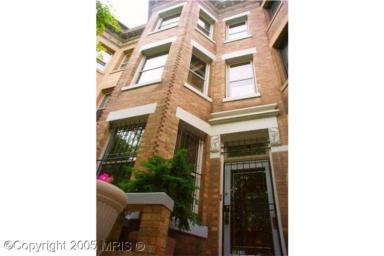 It's a great time to be a seller in DC!